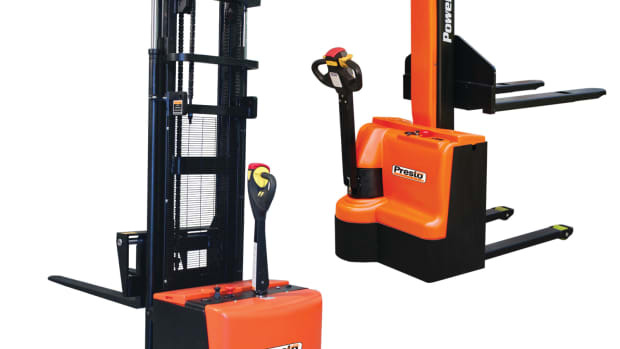 Presto Lifts introduces the P4 Floor Height Load Leveler with a built-in turntable that can be loaded and unloaded with an ordinary hand pallet truck. 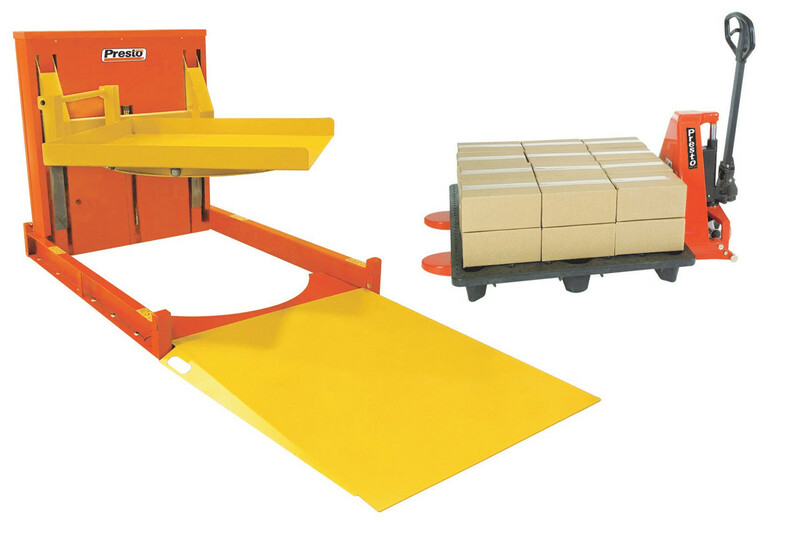 ‘It has a platform that, when fully lowered, sits essentially flush to the floor allowing users to place or remove pallet loads with an ordinary hand pallet truck,” the company said in a statement. 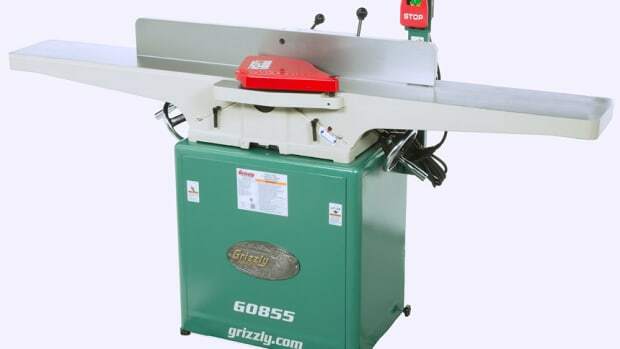 “It features a built-in turntable that easily rotates a full pallet load 360 degrees, so workers can build or break down loads from a fixed position without the need for walking around or reaching across the pallet. 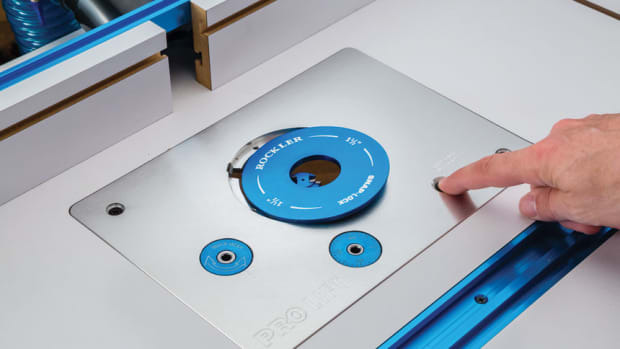 Rockler Woodworking& Hardware is introducing a heavy-duty router lift with two patent-pending innovations. 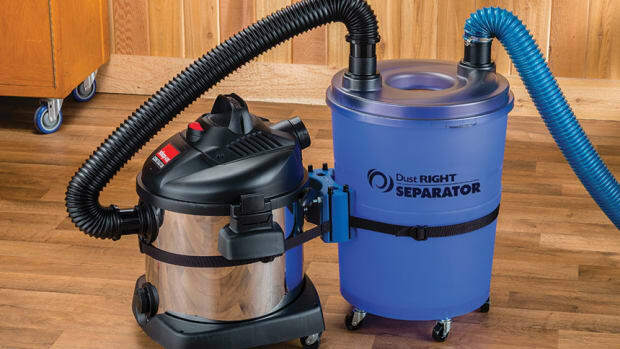 Rockler Woodworking & Hardware has introduced seven new dust collection solutions to its Dust Right line. 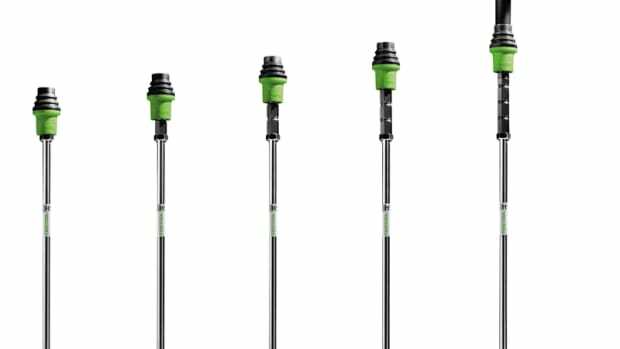 The PowerStak family of high performance, fully powered stackers from Presto ECOA offer significant performance advantages over manual stackers and significant cost savings versus forklift trucks, according to the company. 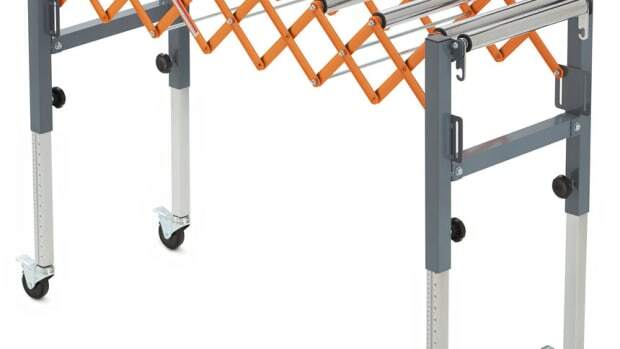 Bora Tool introduces the Portable Conveyor Roller, model PM-2700, a versatile and expandable rolling system offering unparalleled mobility and material moving flexibility, according to the company. 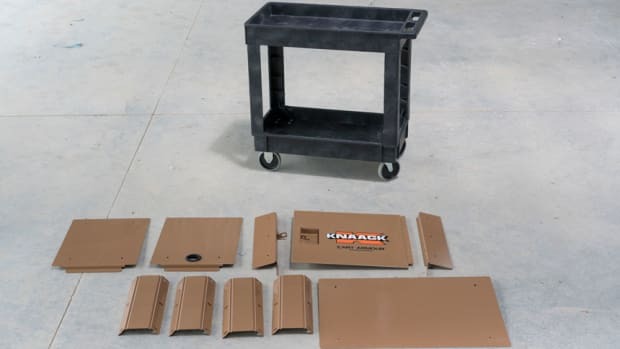 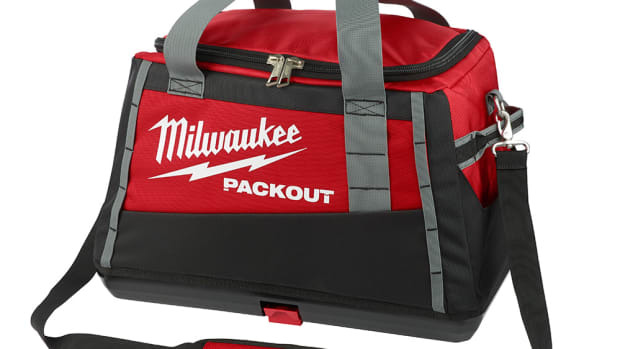 Knaack introduces two products designed to keep valuable tools safe and easily accessible on the jobsite, the Cart Armour and the Compact Rolling Workbench.